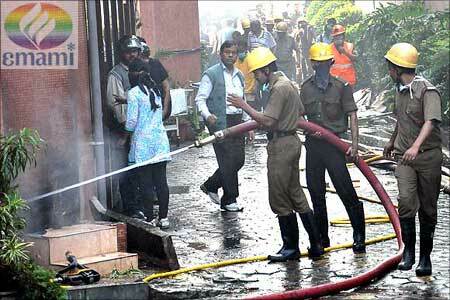 Rediff.com » Business » Will Emami Group survive the AMRI Hospital fire? 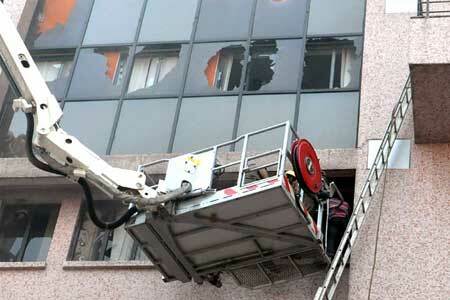 Will Emami Group survive the AMRI Hospital fire? 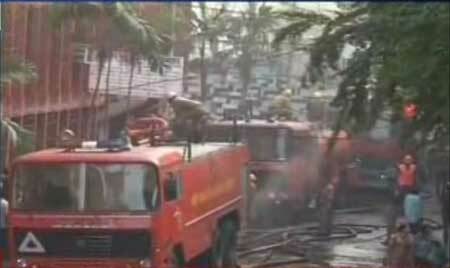 Emami's soaring fortunes have been dragged down to earth by the blaze that torched its AMRI Hospital, killing 93 people. With seven directors -- six of them family members -- in jail or absconding, can the Emami Group survive the rocky road ahead? In 1974, two childhood friends, R S Agarwal and R S Goenka, left their jobs at the Birla Group, and armed with Rs 20,000, started Kemco Chemicals, an Ayurvedic medicine and cosmetic manufacturing unit, in Kolkata. Such was the grit and resolve of these two entrepreneurs that they even piled up their goods in hand-pulled rickshaws and went on distribution drives to make their brand popular. Some three-and-a-half decades later, Agarwal and Goenka's diversified business empire, named Emami Group, had hit a stratospheric high of Rs 3,000 crore (Rs 30 billion) in sales. Its flagship firm, Emami Ltd with sales of Rs 1,278 crore (Rs 12.78 billion), was sitting pretty with iconic, dominant national brands: its Navratna hair oil commanded a 49 per cent market share, its antiseptic cream Boroplus ruled with a 75 per cent share, Fair and Handsome dominated with 60 per cent of the market and Zandu Balm, which Malaika Arora made memorable in Salman Khan-starrer Dabangg, led the pain balm category. Click NEXT to read . . . 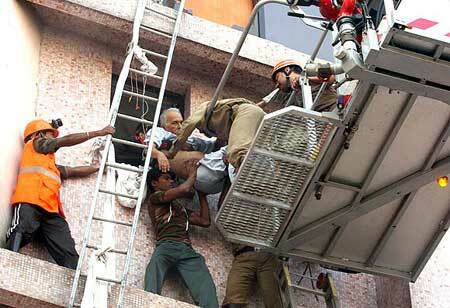 Image: Firemen trying to rescue people trapped in the AMRI Hospital fire in Kolkata. (Inset) Emami Group founders R S Agarwal and R S Goenka. The company was one of the few homegrown Kolkata-headquartered success stories. You couldn't have scripted a better fairytale story. Yet, the fire that engulfed the Advance Medicare and Research Institute (AMRI) Hospital at Dhakuria -- 66 per cent of which is owned by the Emami Group -- not only killed 93 patients and hospital staff members, it has fundamentally altered the fortunes of the group in the span of just one tragic morning. 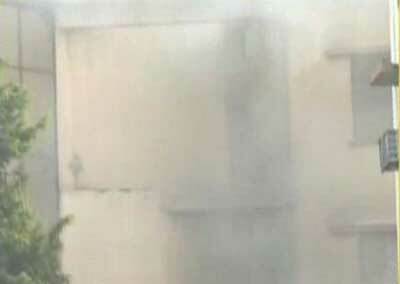 According to the authorities, toxic and inflammable materials stored in the basement of the hospital, which was originally meant to be a car park, ultimately caused the fire. The fire alarms and sprinklers did the rest of the damage by not working. 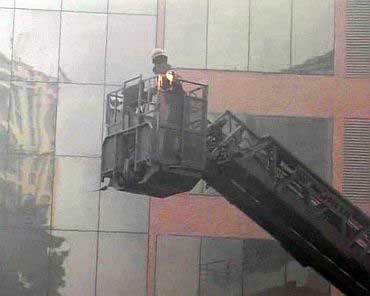 Image: Firefighters at AMRI Hospital. (Inset) Emami logo. 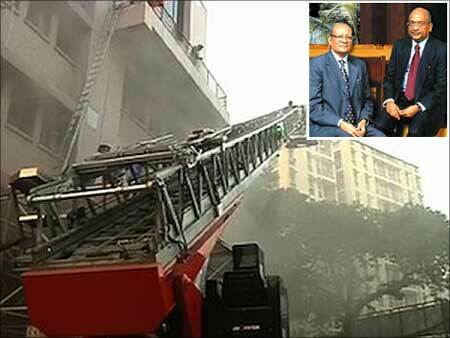 Following the fire, the six directors of AMRI -- co-founder R S Goenka, Manish Goenka and Prashant Goenka of Emami Group, S K Todi and Ravi Todi of Shrachi Group and D N Agarwal, executive director were arrested. Though they were initially in police custody, an Alipore court has sent them to a 14-day judicial custody last week. Co-founder R S Agarwal was held at B M Birla Hospital and later shifted to SSKM Hospital and his detailed health report will be submitted before the court soon. Two others -- Aditya Agarwal and Priti Sureka -- are absconding from the law according to joint commissioner of police Damayanti Sen. The big question is how much will these arrests and legal conundrums impact the operations of the Group as well as its flagship company, Emami Ltd? 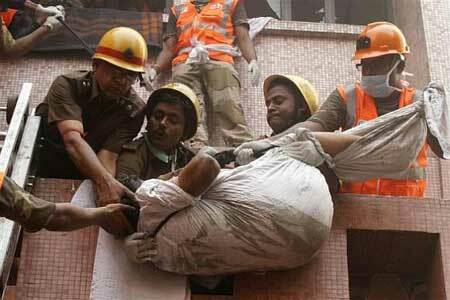 Image: A file photo of the rescue work going on at AMRI Hospital. Not surprisingly, Emami Ltd has put on a brave face amidst what is obviously a traumatic time. N H Bhansali, chief executive officer of finance, strategy and business development of Emami Ltd said, "Emami Limited is a separate entity from AMRI. We do not expect any operations to be affected because of this. Emami is a personal care and healthcare product company and is a completely independent vertical of the group. There is no impact as such or no financial or management linkage between the two." Even industry analysts agree. "The arrest of directors is unlikely to have any impact on the company as a separate management team is running it," said Shirish Pardesi, senior analyst at Mumbai-based brokerage Anand Rathi. Analysts say that AMRI incident may not hugely impact even the daily activities as Harsh Agarwal, who handles media, retail, real estate, and FMCG brands like Boroplus, and Navratna is not part of the AMRI board and hence not involved the legal tangle. This sanguine outlook for a company that has around half its directors in jail speaks volumes for the reputation of Emami Ltd, but what of the Group? To begin with, its two founders are in jail which is a huge blow to the morale of the company. If that's not bad enough, most of the younger scions of Emami who play big roles in the Group are either in judicial custody or on the run from the law. Aditya Agarwal, 35, who is absconding, is the son of R S Agarwal, and handles part of the hospital business, the paper business, biodiesel, edible oil, as well as FMCG brands like Sona Chandi Chyawanprash. 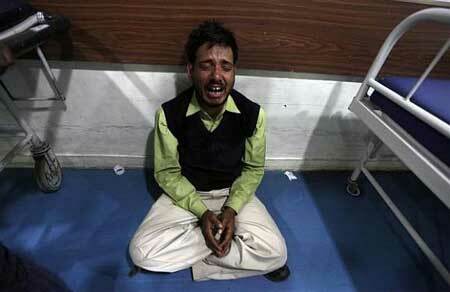 Manish Goenka, 37, who is in jail, is the son of R S Goenka, and handles part of the hospital business. Prashant Goenka, in jail, heads Emami International along with the power and coal businesses; Priti Sureka, who is absconding, heads research and development as well as some FMCG brands. In other words, while Emami Ltd may not be in serious immediate trouble, the rest of the Group remains vulnerable to the ongoing legal entanglements. Expansion plans of other listed firms of the Group like Emami Infrastructure and Emami Paper Mills could be under threat. The ones lucky enough to be on the other side of the fence are: Mohan Goenka, 38, who is the elder son of R S Goenka, and heads the cement business, sales and distribution of Emami Ltd, the Fair and Handsome brand, Zandu Balm, and Mentho Plus; Richa Agarwal, wife of Aditya, who heads Emami Chisel Art; Harsh Agarwal, 34, the younger son of R S Agarwal, who heads media, retail, real estate, and brands in FMCG like Boroplus and Navratna. When asked as to how a possible succession plan that the company was engaged in will be affected, a senior official of the company said, "The family is not in a position to think about that, while facing a legal issue." The last thing Emami Ltd expected was a catastrophe like this. The board was armed with Rs 5,000 crore (Rs 50 billion) earmarked just for acquisitions and was currently on the look-out for a suitable target. What is bound to hurt them is the fact that S K Todi of Shrachi -- the only non-family member board member of Emami Ltd to have been arrested -- was running the show at Dhakuria facility, including making most of the important management decisions. Though Emami Ltd recently lost out in a close battle for Paras Pharmaceuticals to Reckitt Benckiser even after posting a higher bid of Rs 3,400 crore (Rs 34 billion), the firm was still looking at Paras personal care brands, now owned by Reckitt. Emami Ltd's Bhansali believes that the arrest of the promoters will have no impact on the firm's acquisition plans. "We are looking at further organic and inorganic growth. We expect a 8-10 per cent kind of a growth on volumes in the quarters to come," he said. The firm also expects to start operations in Bangladesh unit by the end of this financial year. As far as the hospitals business is concerned, AMRI Hospitals has immediately put on hold its expansion plans of about Rs 2,000 crore (Rs 20 billion). 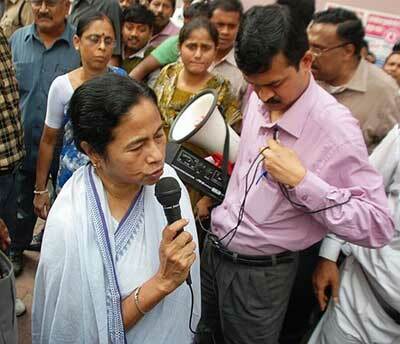 Image: West Bengal Chief Minister Mamata Banerjee at AMRI Hospital. The Group had plans to set up seven hospitals across the East and North East with an investment of about Rs 1,750 crore (Rs 17.50 billion), while for addition of beds in the existing hospitals it was planning to invest Rs 300 crore (Rs 3 billion). Meanwhile, West Bengal Chief Minister Mamata Banerjee has cancelled the license of AMRI Dhakuria hospital. "Strict action will be taken against the offenders and law will take its course," she had said. The industrial community, however, seems to be solidly behind the company. "Emami is one group which invested heavily in West Bengal. They deserved a better treatment from the government and we investors are worried now," said a business person, who did not want to be quoted. Yet Emami's importance to the state may not be able to stave off legal setbacks. The AMRI directors have been booked under various IPC codes which include amongst others, section 304 (culpable homicide not amounting to murder). Six AMRI directors have been sent to 14-day judicial custody till January 5. "With the kind of charges levelled against them, if found guilty, the group directors may get a maximum punishment of up to 10 years," Kalyan Banerjee, government lawyer, told Business Standard. Defence lawyers, however, insist that the case does not attract the culpable homicide sentence. Plus, defence counsels Amitabha Ganguly and Ashok Mukherjee have argued that the directors were not involved in the day-to-day activities of the group. Either way, it is going to be a long and hard road for the Goenka and Agarwal families, whose founders will hope that their glittering dream is not run aground by the ghastliest of nightmares. IMAGES: A stunning Superbus that beats a private Limo!